Home Basketball "You can see that in Spain women's basketball is supported"
"You can see that in Spain women's basketball is supported"
Delle Donne, player of Washington Mystics and Olympic and world champion with the USA, is in London for the NBA Game. Luka Doncic's season in his NBA debut is not going unnoticed by anyone. This Tuesday, in the framework of the NBA London Game 2019 presented by Norwegian that this Thursday will face the New York Knicks and Washington Wizards in the British capital, one of the best players on the planet has also paid tribute to the Dallas Mavericks rookie. "So far, his season is All Star and his impact in the league is incredible. You can tell he is a player with a special talent, his versatility is amazing, he plays with the confidence of a veteran. 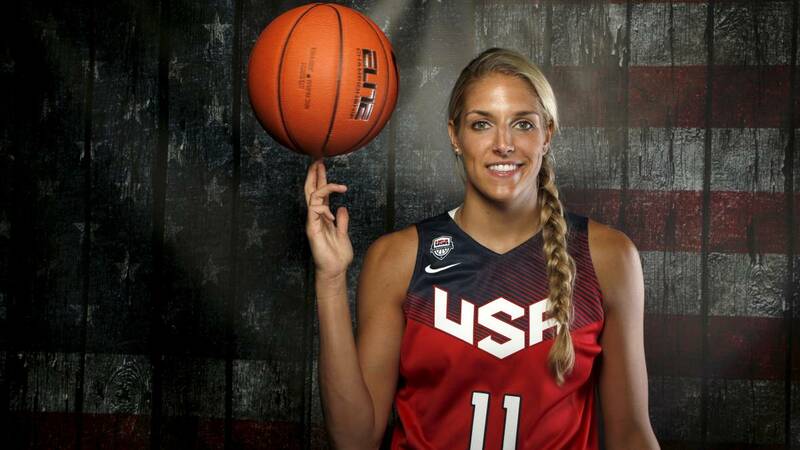 ", admitted Elena Delle Donne. The WNBA Washington Mystics player and Rookie of the Year in 2013 is" very excited "to have been invited to London to participate, along with her partner Natasha Cloud and NBA legends as Latrell Sprewell and Caron Butler, in a clinic with local schoolchildren organized by jr. NBA Global Championship. "Every time we come to a new place, we hope we can do our bit to increase the love for our sport, and also if we interact with these guys and share our love of basketball with them. , is something really special, "he said. Strong cornerstone of the US national team that last September was brilliantly champion of the World in Tenerife, Delle Donne keeps, as it could not be otherwise, an unforgettable memory of his experience in the Canary Islands and of the level exhibited by a Spanish team that he knows very well after the Rio 2016 Olympic final. "Oh, my God, it was great! It has been a very fun team to compete against and continue to improve more and more, and not only that, but they also have a spectacular hobby, they are crazy about basketball! that there is a culture for this sport and that they support women's basketball. I love playing in Spain ". After proclaiming Olympic and world champion, Delle Donne aspires to get rid of the thorn and get once and for all the championship ring after the defeat of their Mystics in the last finals of The WNBA: "Definitely, my next goal is to win the championship, especially after having had it closer, so we'll see what happens next season" .